M.O.H. @.L.Y.I.C.S ©: 855) Egyptians ::: The Dilemma of Co-Existence! علي مدار عشرات السنين الماضية تحولت مصر من بلد العلم والعلماء والرقي والتحضر والذوق الرفيع الي بلد يغلب الجهل والانحطاط وتدني بل انعدام الفكر ، تحولت من بلد قامت علي ارضها اهم حضارة دينية عرفها التاريخ الي بلد الدين فيها لباس خارجي . الفاشية الدينية بذرت بذورها في ارض مصر وروتها بجموع من الجهلاء فأنبتت جماعات لا تعرف الا لغة الدم والدمار والاقصاء ، من معها فهو مع الله ومن يعارضها فهو يعارض الله وكتبة ورسولة . لقد اتت الساعة وهي الان ان يستنهض المصريين ويدركوا خطر اتساع وتوغل هذه الجماعات فيما بيننا ، ارجوا من كل مصري ان يقوم بواجبة نحو وطنه واهله ..
" حفظ الله مصر "
عينه من ردود "الأصدقاء" المنتمين إلى التيار "الدينى" ..
فعلا يفتحوا النفس و يجبروك على إحترامهم!! "مينفعش نفوض السيسى فى القضاء على رامز جلال؟ مش ده إرهاب برضه؟"
"بتتريق على اللى استشهدوا . هقولك ايه ما دمهم فى رقبة كل اللى فوض ووافق وايد وعمل نفسه مش شايف حاجه , الا نامت اعين الجبناء الا نامت اعين الجبناء . انا مش هذكرك بقران لان واضح انه ملوش اعتبار عندك . وميشرفنيش انى اعرفك تانى." وماذا يضير البحر أمسي زاخراً إذا رماه غلام بحجر! ايوه انا فاكرة البوست ده..ولسه برضه مصممه ان اللي يقول طظ في مصر ويؤيدها مالوش مكان وسطنا...لانه اصلا ماتهموش مصر لانه مش شايفها.. لو كان هدف المصريين كلهم واحد بس بيشفوه من زوايا مختلفة كنت اقولك اه ممكن نوصل. لكن بالطريقه دي صعب. كل سنة وأنتم جميعا بالف الف خير. Wenty Tayeba ya Mariam ... I hope it will be a happy Eid without Blood. The attack is planned before Eid to clean Rabaa for its inhabitants. 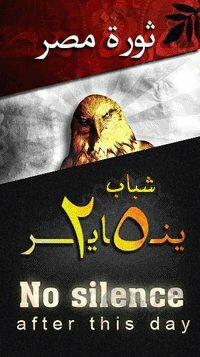 for a group of Egyptians it will be happy without blood, for others it won't. The Clean up will be after Eid, but I hope they wont ruin the Eid with their road blocking and attacks. they will be killed anyway. I hope they wont be stupid enough to get themselves killed. And if they are, i wish armey would be kind while killing.better than injuries or prisoned anyway. check the blog main page. Hmmmm... Unexpected post! Ma el 2a7'la2 mesh mawgoda ba2alha zaman..and shewayet el nas Elle kan 3andaha 2a7'la2 Kano beya7'do support & positive energy from this blog! At least I used to.. I used to "not like" and admire this movie because of its cruel truth. But I can't relate here. your blog was one of the places where I could find decency and respect. why close it ba2a? Coz I can't bear the amount of hate..lying ..deceiving.. hypocrisy ..manipulation ...etc..the amount of friends I lost in the last couple of months is by far more that the ones I lost in my whole life! I didn't delete the blog. I just closed it till there is something I can say. Meanwhile this topic is still valid for lots of discussions. all my accounts are disabled because if I open my mouth I get tons of comments condemning me. so I decided to remain silent. 3adi. it just broke my heart to see how people have turned to hate each other, and literally have nothing against them killed. the only thing that kept me living here that growing old, if I would need help one day, I would find a hand to lend on. now anywhere that would accept my emigration request would be same as here. 3'orba doesn't scare me anymore. :-). nor there is any feeling of home sickness. as for lost morals, they have been lost since very long time.it is one of Mubarak's accomplishments in Egypt. he completely destroyed any kind of morals and positive feeling in millions of Egyptians. Yes ghorba doesnt scare us, coz we already feel it and we are living here, and that is even worse. I am against Ekhwan and all the so called Ismalists and do support what the army did on 3 July, but what I see now from kissing asses and ugly faces back makes me sick. The worst of all is the thing that we lost and was one of our main strengths (CO-EXISTENCE).. the topic of this post.. It seems we ceased to co-exists.. either with or against, and I am afraid that it will end up neither of both... A perfect Lose-Lose situation. well, that was expected. the assess and ugly faces'return. haven't we been there before doing exactly the same? how to expect different results then? I am against Ekhwan way of ruling and the military as well. BOTH. I was hoping for a second revolution to correct the error of Jan 25th. instead when I heard the encouraging tone of the military, the red lamp in my head shone toooo bright to ignore. La2, they definitely want ppl to protest, to take things over. Nowadays we live in the phase prior to "لم أكن أنتوي " of Mubarak. Shafiq declared today his intention "not to go for elections, unless ppl call me for" and "if Gen. Sisi goes for it, I will support". then his announcement would come. or one of their puppets would go for elections and eventually win. Hmm, where have I seen this play before? I just wish ppl wouldn't have fallen into that ugly trap. maalesh. some other time we might have a decent country to live in. "يا رب الجيش يولع فيهم". "يتحرقوا" . "يروحوا في ستين داهية واحنا مالنا". People didn't bother to hide their hate towards Ekhwan. on the other hand, when they hear such hatred from "normal" people, how do u expect them to react? offering love and roses???? it simply added more fuel to their violence needs. on other levels, such as mine, I lost many friends, was disappointed in many, many, many friends and family members for their support of blind violence of the military. I don't dare to open my mouth-wallahi el 3aziem literally- if the subject comes up un any discussion. I keep my mouth shut, silently count to 1000 till it is over. what co-Existence are you taking about? the message delivered to young generation now is hatred, violence and killing. even in songs, it is terribly stated. the song of Aly El Haggar made me speechless. has gone insane? I have to admit, Mubarak regime was very clever to put him in the Spa he lives in now to protect him, his gand and family. we were stupid and have implemented their plan to regain the country under their control by following the military on 30.06.
restart button won't function, lel asaf now. it is broken. sorry, I sound terribly bitter and disappointed and angry and hopeless. but it is how I feel. the good thing is: I still adore Halim and poetry and reading. I do agree on what u said except for the part regarding people hating Ekhwan coz this was a reaction more than a proaction and I have witnessed it myself in many situation.. sometime i feel that they call for it.. but many simple Ekhwan members and kids etakhdo fel regleen as well. Talk to me more about Sweeden.. (seriously). I know what you are talking about. and this is what I meant. many simple people who believed in them were innocently killed. and this is for me end of the world. people getting killed. this I could never forgive police and military. Baradei has saved his soul from heaven and taken the right step, only a little late. but better anyway. looks like we will be stuck with ugly faces we have now for long time. Sweden under study. all Scandinavian countries are in my scope of search. I will keep you posted with any progress. Generally, I would prefer Europe to USA/Canada/Australia and far countries, for the sake of my mother. but do I have any choice? I advise to watch him, I do know him in person and he is sincere.. I prefer to live in the UK .. I am going there next month to see my options there as well - if I decided to leave. he seems to be very angry and frustrated and scared. his words show clearly what we were saying. the words of hatred and discrimination they feel deep inside and that has been filling the air since Rabaa have really caught him. he "feels' hate and resentment everywhere, that even irrelevant words like your trigger anger in him. I know you didn't mean anything related to the people who were killed back then. but can you see how angry they are? and how scared? now they know that sooner or later they will be arrested and eventually killed. which happened to many in the past and is going to happen in the coming days. the great number of terrorists being arrested or killed says it all. I don't need to remind you that Khaled Saeed swallowed a bango lump and Sayed Belal bombd el Qedessin Church. Thank You Hebba for the comment and wishes. Maryam... fakarteeny leeh be haytham ... ana lesa mesh 2ader asamho he deeply hurt me, and I cant give him any excuse to do so.. btw he was never arrested or even harassed. Sorry for that. I didn't come to comment on his words before. and it doesn't really to be him arrested or harassed. don't we all read about what happened to them in the 60s and during Mubarak's days? I can fully understand his motives. some of my ex-friends had same fears and reacted with exactly the same anger to any word I said. of course none has the right to hurt you or anyone else, but before judging, I used to look between the lines for the real cause of anger that triggered the hurt at first place. in their case I can fully understand it. islamists have been badly insulted, arrested and killed through 60s-now. from their point of view, they don't deserve to be treated like that just for thinking differently and aiming to rule- just like nay other political group. their strength lies in their consistency and silent work on ground. MB have been on ground for 80 years and gaining new members. and please don't think they are "kherfan". they belong to a group and follow the rules thereof. just like military, police or simply any employee following the rules of the company they work in. after being hurt many times, I decided to analyze motives of those who hurt me. -being hurt themselves: they blindly take it out on me, who happened to be crossing their way. - fear: they feared me hurting them, and without much thought "eat me before I eat them"
- revenge: even if not fully aware of it, ppl tend to hurt someone of the same gender, class or group of those who hurt them. or the opposite: they hurt someone of their own group, who might be undergoing the same harassment. pain does a lot to ppl. may I ask you to forgive him? I am sure he really deserves it. I still cant forgive him ... He insulted me in public, and infornt of other students ... that hypocrte who used to call me a role model before ... I would have forgiven him if he had insulted my work or opinion, but he insulted me personally, and he even didnt bother to apologize till now. Sorry I am not convinced of reflecting the Islamists fears on us .. or else, most of the criminals should be released from prisons coz they are "da7eyet el mogtama3". I can't deny a certain responsibility I feel towards any criminal. I do feel some sadness bc they ended this way. call it habal, but it's how I feel. wish I could change their destiny and give them a better life. I don't know how I missed your comment about Dr. Mostafa Hegazy. Sorry. He is terrific. I watched the whole interview and the man made me happy just listening to him, without even needing to do anything yet. Silently I prayed that he won't be kicked out like they did to El Baradei. I guess both have same values, and if he doesn't put his own values into force, he will be gone before we know it. same I wish for Zeweil and Essam Hegy. Have you noticed the scaring number of outlaws that were caught the past few days? it makes me wonder why the police didn't catch them before or are they just "keda we keda"? For me this makes them appear inefficient. if they knew and were just holding back to press people and Morsy, then this is terrible. if the news were fake and innocent people are arrested just to be numbers in the newly built prisons, this is unimaginable for me. why do we need new prisons anyway? She3ar el mar7ala? doesn't this make anyone wonder? why weren't there any official funerals for the killed police and military officers? are the published figures "keda we keda"? Are we fully back to Mubarak now or is anything still missing? Mostafa Hegazy is much more practical than Al Barad333 who chose to quit while he could have continued fighting. As for the army officers, they dont do public funerals in order as part of "she2oun ma3naweya" practices. I have no sympathy whatsoever with Ekhwan and their followers, and condemn what they have done to the country including getting us in need for being rescued by SCAF and Police. My sympathy goes always to those who were unfairly shot directly in head or heart. I am for a fail trial even for the worst criminals. I am for legal procedures to be first practice in the darkest and worst situations. Only 3adl guarantees a life for everyone, no matters to which group he belongs.and only then we can have a "life" not just a fragile co-existence. I am not sure it was a rescue or a big trap ppl fell in. But i agree with you that the ekhwan regime had to be ended. What do you think of the ongoing? - The increased ton of General El Sisi going for elections together with Shafiq, Anan, Kheir Allah? All militerian background? - One-time mentioning of Dr. Mostafa Hegazy running for elections as the "most welcomed candidate from the military"? - different events in schools and Ain Shams University? - the strange ton of Bassem Youssefs latest articles, dealing with family matters and stopping of his show? - Gen.Sisi visit to Abdel Nasser grave, while the president complete silence? why is everything going in the wrong direction? EVEN IF, HE IS A GOOD MAN, ALTHOUGH I PREFER THAT HE CONTINUES AS ADVISOR. WERE U EXPECTING TO JUST GO AND STUDY WITHOUT CHALLENGES AFTER ALL WHAT HAPPENED?!!! WHAT DO U EXPECT FROM SOMEONE WHO LOST HIS MOTHER..? SHOW OR NOT HASNT BEEN ANNOUNCED YET. SAME AS LAST YEAR WHEN MORSI WAS IN POWER.. SISI WENT & MORSI REMAINED SILENT. HE IS OFFICIALLY REPRESENTING THE PRESIDENT AS ANNOUNCED. AND WHO HAS THE ABILITY NOW TO JUDGE WHAT IS THE WRONG DIRECTION?!!! Hope this gets through.trying to post my Eid greetings to you since elwa2fa :-(. Hope you had a blessed and happy Eid. something was wrong either with my mobile or with the site here. tried to post many times it never worked. Isn't it about time to get back to writing? it will all be negatives about Cairo .. as I reached my limit in accepting this shity city. coming closer destroys any kind of positive feelings about home. as if it has never been home and all has been just illusions. How can you love and hate something/someone all the same level at the same time? And it is not about Cairo, it is about Egypt as a whole. on the contrary .. u r expressing same feelings..
Tayeb, that's a good start :-). although the feelings have turned over the years to be all negative, it was different some years ago. I don't know is it me who is suffering because of loving and hating this country, or is it "it" that has become so ugly and impossible to love. I cant find what I once loved about being Egyptian. or is it just my eyes that cant bear any negatives anymore? or is it the general status I am in right now? the anger and frustration and bitterness I cant escape. the only thing that stopped me from travelling for a vacation is the coming back. can you believe it? and the answer is both ... it is getting more ugly on all levels specially morals, and we just cant take it anymore coz we only live and die once. Please don't start talking about morals... it is the ugliest what we have now. on all levels, I am not talking about a social class, la2. about what we used to call morals allover. Have we really became THAT ugly in soul? remember my comment on Asmaa during our discussion of Bab el Khouroug? Have people really turned THAT ugly, or is it me just overreacting - being a perfectionist? I miss the human side in those around me. and they don't seem to care about it aslan! Isn't there a "human therapist" to consult? Just had a small operation in my hand ... the funny thing is that while I was in pain getting the injections, I was discussing with the doctor that the hospital's mission & vision are misplaced and need revision ... the weird thing is that the doctor was more interested in the topic than the operation! فعلا يموت الزمار و صباعة بيلعب! Salamtak :-).leih keda bas? What happened? Akied. While having some small operation in abdomen myself a month ago with "beng mawde3y" the surgeon and i were discussing translated literayure and how far the translated text could come close to the original. Seems its natural :-).i thought he was distracting me.